FUNERAL: 2 p.m. – Tuesday at Dryfork Holiness Church – Helton, KY with Roscoe Asher and Cammie Bo Caldwell officiating. VISITATION: 6 p.m. – Monday evening at the church. 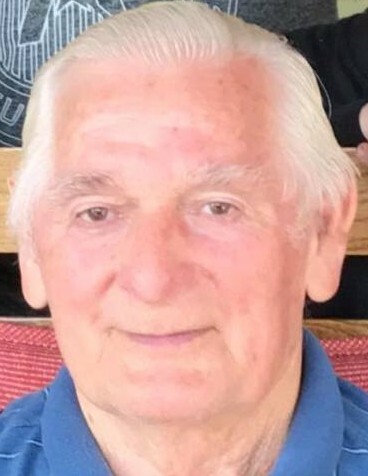 Elige Brock, 80, of Helton, Kentucky departed this walk of life on Friday, April 06, 2019 at the Greg & Noreen Wells Hospice Care Center in Hazard, KY. Elige was born August 21, 1938 in Bell County, KY to the union of the late Dewey & Martha Jane Brock. Elige was a retired coal miner and logger. He enjoyed cutting firewood and gardening. He was united in marriage to Belle Brock on August 23, 1963 in Jonesville, VA. In addition to his parents, Elige was preceded in death by his beloved wife, Belle Brock, his parents whom raised him as their own, Elige & Tisha Saylor Caldwell; siblings, Alice Williams, Lydia Lefevers, Howdy Caldwell, Cassie Jarvis, Ruby Cheeks, Gladys Brock, Cordia Saylor, Pat Sumpter, Stella Gambrel, Reva Mills, Walter Brock, and Caster Brock. Survivors include, two daughters, Edna Robinson (Jason) of Galsville, WI and Jessica Davis (Matthew) of Helton, KY; two brothers, Harlan Caldwell of Corbin, KY and Hubert Caldwell (Darlene) of Manchester, KY; three sisters, Nancy Jackson of Annville, KY, Hester Helton of Helton, KY and Bertha Napier of Pineville, KY; four grandchildren, Natasha Davis, Matelynn Davis, Juleigha Loewenhagen, and Brett Loewenhagenl; special friend, Clifford Hoskins; A host of other relatives and friends also survive. WOLFE & SONS FUNERAL HOME IN CHARGE.